So excited to share this news about my very first picture book deal... and I can't think of a more fitting way for word to break than through Betsy Bird of A Fuse #8 Production. She for all intents and purposes discovered me when I first started blogging way back in the day. 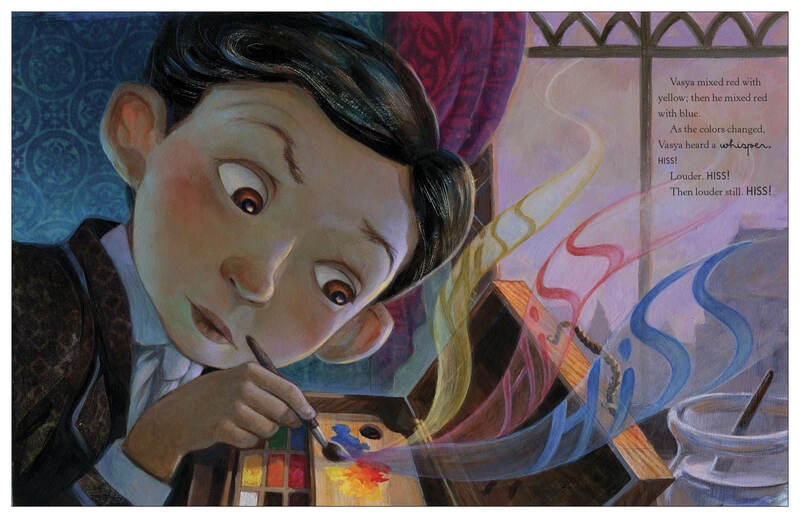 Minh Lê, the popular Kidlit blogger and opinionator (he has written for the Atlantic and Huffington Post, and is the voice behind such widely-shared features as “Put James Franco on All the Book Covers”) has sold his debut picture book. In collaboration with acclaimed illustrator Isabel Roxas, LET ME FINISH! is fittingly bookish in theme: it’s the first-ever picture book about spoilers, wherein one boy wants to be left alone to read in peace till the end of his book, but is continuously interrupted by animals who can’t resist sharing that infectious feeling we get when we love a story. Rotem Moscovich at Disney Hyperion won North American rights to the book, at auction, from Lê’s agent, Stephen Barbara at Foundry Literary + Media, and Elena Giovinazzo at Pippin Properties, who represented Isabel Roxas in the deal. So excited to be working with the super-talented illustrator Isabel Roxas and Rotem Moscovich, the amazing editor who was willing to take a chance on this debut author. And all the thanks in the world to our agents Stephen Barbara and Elena Giovinazzo for making this all happen. And of course, thanks to my family for always being there and especially Aimee for... well, everything. Note: This post first appeared on the Huffington Post. 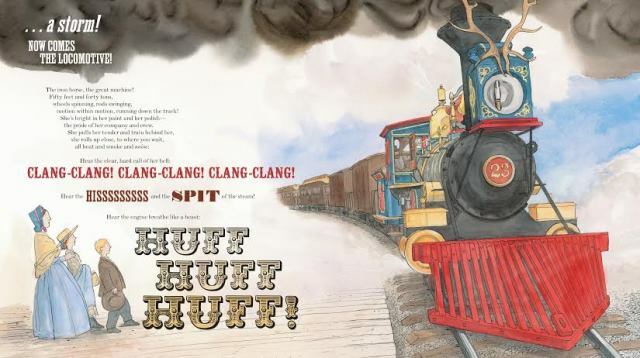 With the American Library Association announcing its choice for this year's Caldecott Medal (the very deserving Brian Floca for Locomotive), it's time to turn the page on 2013 and take a look ahead to some of the great titles heading our way in 2014. It's early, but there is already one short and curious character that, in my opinion, stands head and shoulders above the rest. 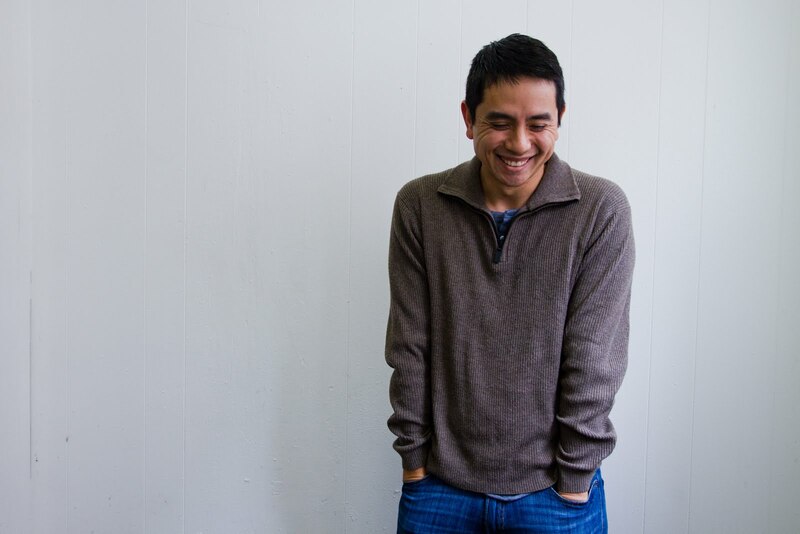 Dan Santat is one of the hardest working people in the industry today. And while his immense talent was always evident, Beekle takes his artistry to a new level. The story (which is just bursting at the seams with charm) begins on an island of colorful creatures, each waiting to be imagined by a special child and thus transported to the real world. Our hero, a marshmallowy fellow with a scotch-taped crown waits and waits... and waits before deciding to take matters into his own hands. He does the unimaginable and sets out to find a friend for himself. As with all great books, Beekle has an air of inevitability about it. As if somewhere out there is an island of perfect stories just waiting for the right person to come along and imagine it into being. 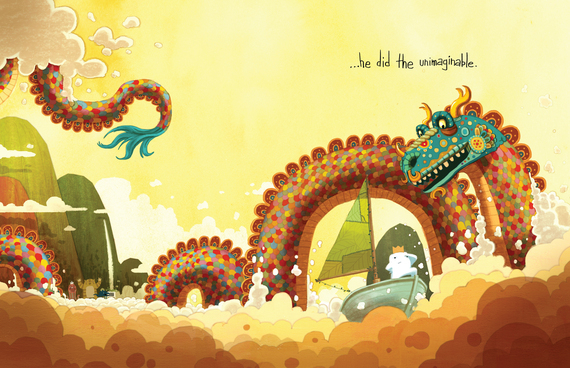 We should all be grateful that Santat, with his brilliant use of color and humor, was here to bring Beekle to life. Take Bette Midler's "Wind Beneath My Wings", only remove all traces of Bette Midler, and you've got the lovingly illustrated Bluebird. Shea has established himself as the rainbow suspenders of the kid's lit world... and I mean that in the most flattering way possible. With a distinct style that is slightly manic yet charming, totally wacky yet surprisingly touching, his books demand your attention. This is the story of a true American original, which to its great credit does not shy away from Baker's complicated relationship with America and racism. Her life is best summed up by the opening quote from Josephine Baker herself: "I shall dance all my life... I would like to die, breathless, spent, at the end of a dance." No one, and I mean no one, captures the subtle curiosity of little children better than Sakai. A beautiful story about the challenges of moving to a new country, Sánchez's hectic style effectively captures the sometimes overwhelming nature of the immigrant experience. The book also deftly shows the young boy acclimating to his new surroundings, while also recognizing that his culture has something beautiful to offer this new home. The illustrations in this book that makes you want to have a baby just so you can decorate the nursery and parade around in silly hats. Perhaps the most visually stunning book of the year, Elizabeth Bird of the School Library Journal is not kidding when she says that "the sheer beauty of this book is likely to overwhelm the senses." And while the story of a mouse with big dreams doesn't feel particularly new, Kuhlmann's talent takes it to new heights. His illustrations show that along with the exciting spirit of adventure there is also an accompanying darkness--whether it be mousetraps, the threat of failure, or jealous owls. The breathtaking illustrations have the realistic feel of archival footage, a quality which lends the story a pseudo-historical heft. Not wanting to be pigeon-holed as her mother's "little mouse", a young girl shows off the full range of her animalistic tendencies. Of course, at the end of the day, she realizes that there's a time an place for everything, even a little mouse. I'll admit that I have a soft spot for artist biographies... and this is one of the best around. The book begins with young Kandinsky discovering that he has a synesthetic ability to hear colors and then follows his journey to becoming a pioneer of abstract art. 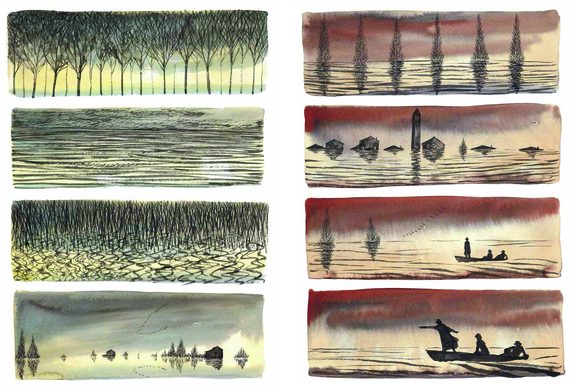 It must be a daunting task to illustrate a book about a master painter, but GrandPré is more than up to the challenge. Together, she and Rosenstock deliver a hauntingly beautiful portrait that feels like an early contender for the next Caldecott. For children's book aficionados, any Oliver Jeffers release is cause for celebration. This stylish take on the counting book (part of his Hueys series) is no exception. The Little Prince is one of the bestselling books of all time, but the author's life is perhaps the even better story. Sís, with his inimitably meticulous style, gives you a lot to explore and it is worth every second. The most mysterious book I've seen so far this year, it feels as if it were dug up along the banks of a muddy river, containing some kind of elemental wisdom within. A timely little book with a cute twist at the end, Saltzberg's story will resonate with families doing their best to keep in touch with loved ones from afar. CORRECTION: A previous version of this post suggested that Little Mouse by Alison Murray will be published in 2014. Little Mouse was published in 2013. The post has been updated to clarify this. Note: This post first appeared on Book Riot. First of all, I want to make one thing clear: this is NOT a criticism of the Caldecott committee. Narrowing down the year’s picture books to determine “the artist of the most distinguished American picture book for children” is an absolutely Herculean task. Their selection of Brian Floca’s Locomotive (announced on Monday) is a fantastic and worthy choice. As for the Caldecott Honors, Aaron Becker’s Journey was my prediction for the top prize. And while Molly Idle’sFlora and the Flamingo and David Wiesner’s Mr. Wuffles wouldn’t have been my personal picks, they were both very deserving. However, while I don’t have any bones to pick with the Caldecott committee, no award season, be it the Oscars, the Grammys, or the NBA All-Star team would be complete without a quick look at some of the names that were left off. So, without further ado, here are five of the books that could have taken home a highly coveted Caldecott… and perhaps more importantly, a magical sales-generating, sticker. Mr. Tiger Goes Wild by Peter Brown: An honor winner last year for Creepy Carrots, a lot of people thought that Brown’s free spirited tiger would earn him this year’s top prize. Too bad, because Mr. Tiger already has the right wardrobe for the celebration (including the afterparty). 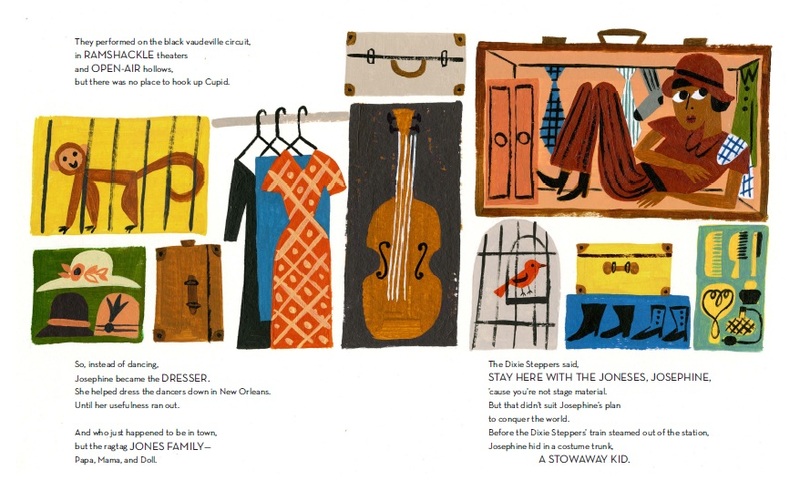 Knock Knock: My Dad’s Dream for Me by Daniel Beaty, illustrated by Bryan Collier: Thankfully, Collier (who already has a 2011 Caldecott honor to his name) did not go home empty handed, as his exquisite collages earned him his fifth Coretta Scott King Award. In addition to the book, you should definitely check out the powerful spoken word piece on which it is based. If You Want to See a Whale by Julie Fogliano, illustrated by Erin Stead: 2011′s big winner, it seems like every one of Erin Stead’s books is worthy of a Caldecott… and maybe that’s the problem. When you’re this consistently great, it’s easy to be taken for granted, particularly when you’ve got such an peaceful and understated style. Nelson Mandela by Kadir Nelson: Deserving, not just because his topic would have made this a timely choice, but because Kadir Nelson is one of the most talented names in the game. He already has a Caldecott honor under his belt, but he is destined for the gold. And while he didn’t get it this year, he did have the unique honor of illustrating the commemorative cover of the New Yorkerfollowing Mandela’s death. Niño Wrestles the World by Yuyi Morales: Winner of the Pura Belpré Illustrator award for children’s books that “best portray, affirm and celebrate the Latino cultural experience,” Morales’ underwear-clad dynamo could have taken home the Caldecott since his infectious energy speaks to little children (and formerly little children) everywhere, regardless of race or ethnicity. Of course, this list itself excludes plenty of other worthy names: Jon Klassen, Oliver Jeffers, Sophie Blackall, Matthew Myers, LeUyen Pham, Zachariah OHora… like I said, narrowing down the field is a Herculean task. In fact, if someone wants to make a Biggest Snubs from the Book Riot Caldecott Snub Post, I certainly won’t take offense. 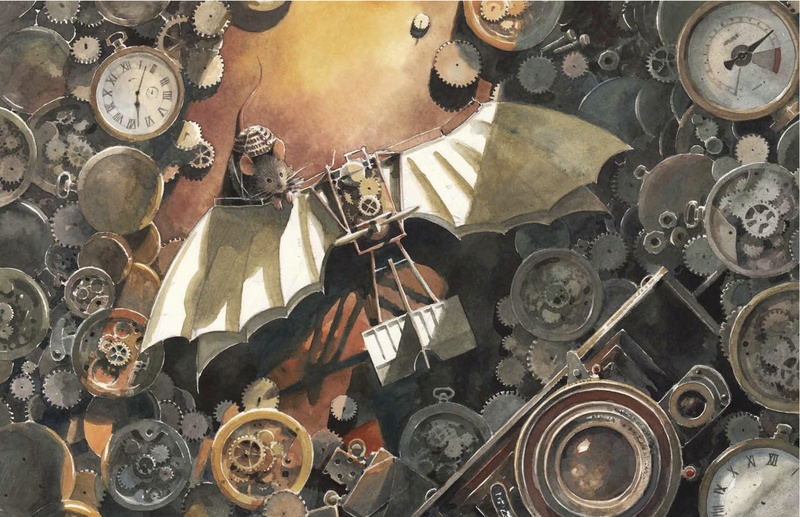 On Monday, the ALA announced its choices for the Caldecott with the coveted gold medal going to the very deserving Brian Floca for Locomotive. Here is my take on the newly-crowned book, via the Huffington Post.